Why is being a mom so HARD? It's been one of those really rough weeks. We've been sick for two weeks, none of us are down and out anymore, but everyone is holding on to a little of something. I want to blame the yuck of this week on the sickness, but I know that's not really it. There's just something about sickness that brings out our sinness. Sickness strips down our patched-up exteriors until the sin shines through a little brighter and bolder than an average day. Motherhood does the same thing. It’s the combination of the physical, mental, and emotional needs of my children that gets to me. The day-in, day-out grind of Mom Life that leaves me stripped down to the base of who I am. I'll be honest, the base of who I am is so ugly. This week I haven't been any semblance of the mom I want to be. The pressure of my children's needs has pushed open the cracks I constantly patch over. The real problem isn't that I've been angry mom, that I've yelled at my kids, that I've retreated into a book when I should have played, that I've ignored, that I've complained, that I've been lazy, or that I've been anxious. Those are all bad and those are all sins. But if I work at those, I'm just putting a small patch over the broken gaping hole. The real problem is what Brad Bigney calls "the sin beneath the sin." It's the idol that I've set up on the throne of my life. It boils down to this: I do what I do (like all those ugly sins mentioned above) because I want what I want (my idol). I've idolized all kinds of things in my life, but lately my biggest idol is EASE. I've always valued safety and boundaries and quiet space. Those are good, life-giving things. But I don't get much of them as a mom. Over these past few weeks, the systems I have set in place to give me those things has been completely destroyed. Everything is uncomfortable, complicated, and difficult when I want it to be easy and simple! I want motherhood to be manageable by my own strength and with minimal effort, but it never is. Mothering littles is grueling physically, emotionally, and mentally. This makes me crave ease and comfort to the extent that I look to them for my salvation. I cling to the hope that once motherhood gets a little easier my life will be better. I put my trust in physical comfort instead of the true source of rest. That's the sin beneath the sin, the idol of my heart. So many elements of the mothering process are difficult, but it's really the spiritual stripping down that makes life feel like a battle. It's impossible keep idols hidden and sins in check in the challenges of motherhood. As we try to put out fires by our own strength, they burn away all the pretense and pretend, leaving us hanging on to what we really worship. Then our sins pour forth, as we fight and kick to hold onto the last bits of our idol burning up in the fires of life. But if we toss the idols to the side, if we give up those worthless hopes for momentary salvation and cling to Jesus, the Author of Hope and the Giver of Salvation, the fire may surround us, but we will not be consumed by it. Our strength will be renewed in Christ, the unshakeable foundation. When Christ sits at our center, the impossible days or rough seasons still come, but as our simple jars of clay crack, our Hope spills out in gospel grace. Paul David Tripp explains that we don't just suffer the difficulties life throws our way, we all suffer how we experience them. 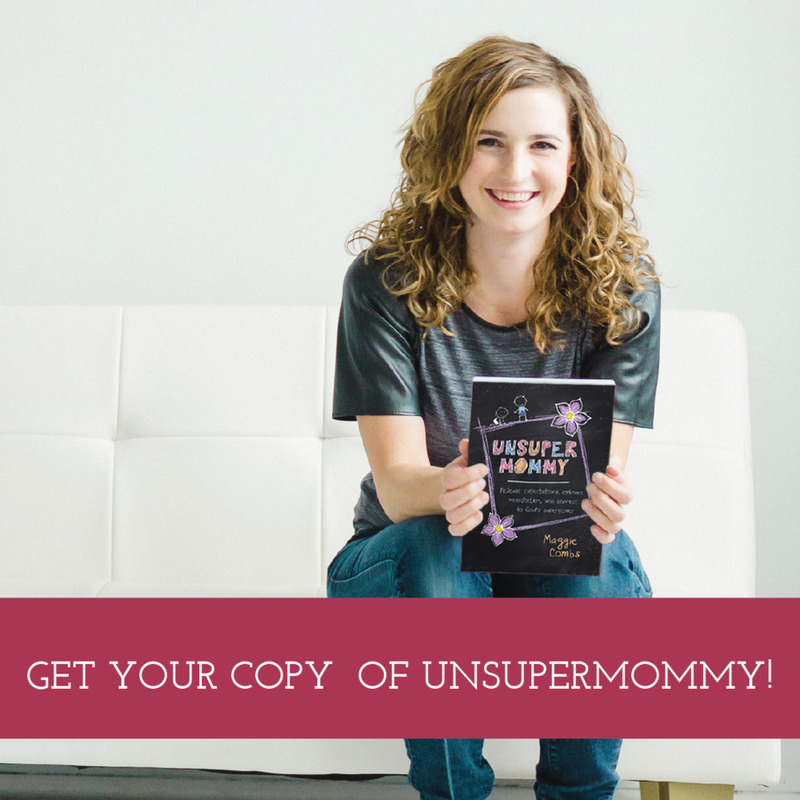 It's not just hard to be a mom because of the unending needs of our children. It's hard to be a mom because we suffer the ugliness of our exposed idols. Motherhood is downright impossible alone. That's why I'm heading into my weekend giving up the battle over all my little sins and resting in Christ's power to win the war for the throne of my heart.